If you've been following my Instagram (which you should if you havn't, hehehe @fennyhwang) you would have seen that I feed stray cats around my house and also the ones that cross my path. Fact is, I'm not a crazy cat lady! I just show some love, that's all hehehe. 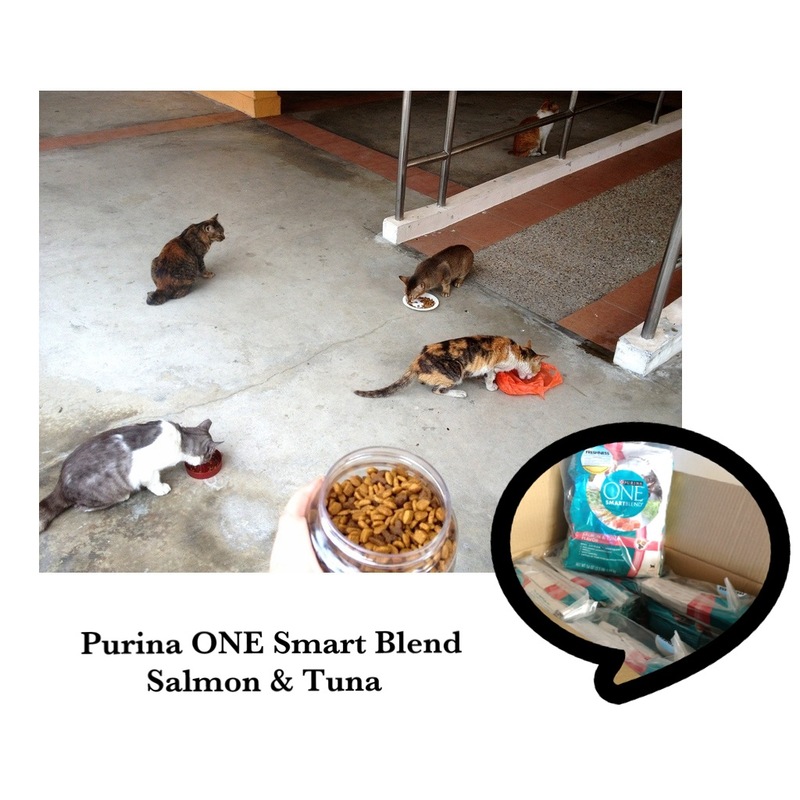 Thanks to Purina, I got a month supply of their latest and tastiest Purina ONE Smartblend Salmon & Tuna flavor cat food! 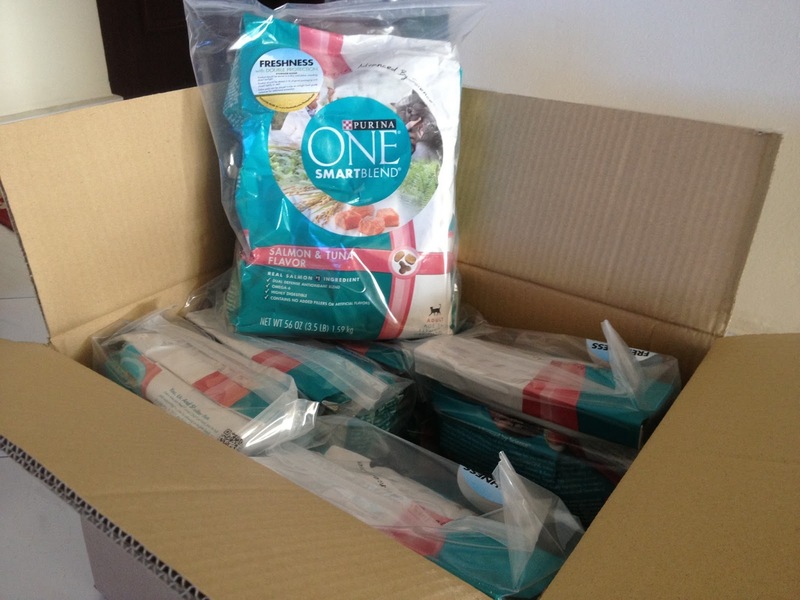 Thanks to the kind peeps at Purina, the cats I feed gets better health and better appetite. Not all the cats loves the previous brand of food that I feed to them, but ALL THE CATS SWARMED WHEN I GAVE THEM PURINA ONE. Omg. OH! And check out the double-layered packaging! It is to make uber sure that the food will be kept super fresh when packed. How nice! Remember to feed responsibly if you're feeding stray cats! Use a plate/paper and remember to clean up after them to prevent pests from invading the area. Purina ONE Smartblend is specially formulated by vets and nutritionists, using real meat as their number one ingredient, along with wholesome grains, antioxidants and omega fatty acids, to deliver concentrated nutrition your pet needs to reach their optimal health and live an exceptional life with you. I didn't take part in the #30daychallenge contest cos I don't have a cat :( and I don't feed them like 3 times a day :( But I can definitely say that my fave stray, Colourful, has an improved appetite and mood recently! It used to be pretty moody and doesn't wanna eat whatever I give. But now he comes running to me when he sees me holding the cat food! It also responds better to pats and scratches, even purring which he wouldn't in the past. 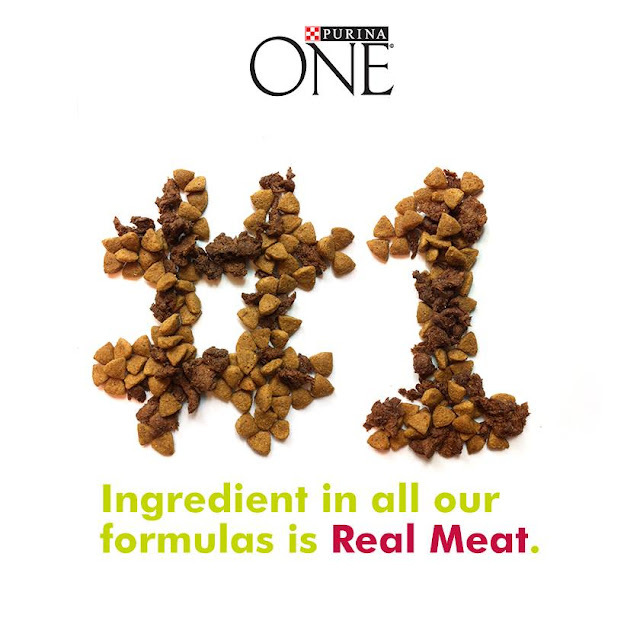 Do like Purina's Facebook Page and also check out the contest page!